There’s an effective way to increase your chances of getting published. It involves some research, so you need to put some time aside for that, but I promise you that the research is not only fun, but also pretty revealing. Most advice on how to get published either talks about how it works – how to submit, how to write a cover letter and synopsis, what happens next, that kind of thing. Alternatively, it talks about how to hook your reader, how to tell a great story, how to write economical prose, or how to edit your drafts to make them shine. This is useful advice, but it can get a bit repetitive. Almost nobody tells you how to find publication opportunities that actually fit the thing that you’re writing specifically. Not only is this a powerful approach, anybody who loves reading and writing can do it, because you start right where you are. It’s not about finding the ‘right’ website or resource, or learning all the submission window dates and editors’ names off by heart. Once you know where your work will fit, you can find the website, submission window and editor’s name using a bit of Google-fu (clever use of search engines). 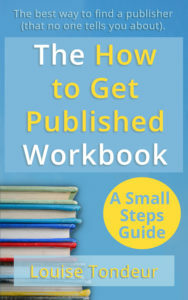 The How to Get Published Workbook asks you a series of questions about you, your writing and your reading. 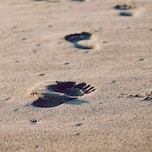 You’ll go on a treasure hunt, discovering the ideal places to send your work, and crossing off the opportunities that don’t fit – so you don’t waste your time and energy sending to the wrong place. You’ll need a notebook with the ebook version. The print version of the book comes with lined pages so you can write into it.